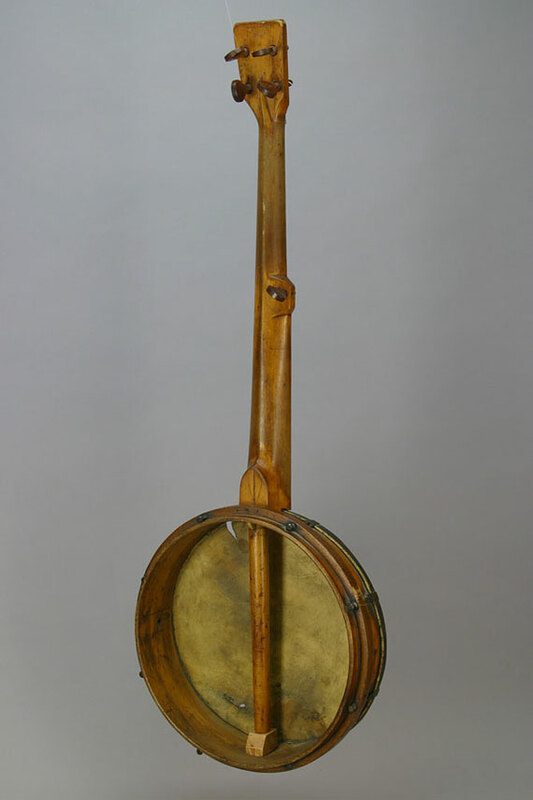 The Ashborn was probably THE most sophisticated, modern, and technically-advanced banjo of the early minstrel period (about mid-1830s to 1860). 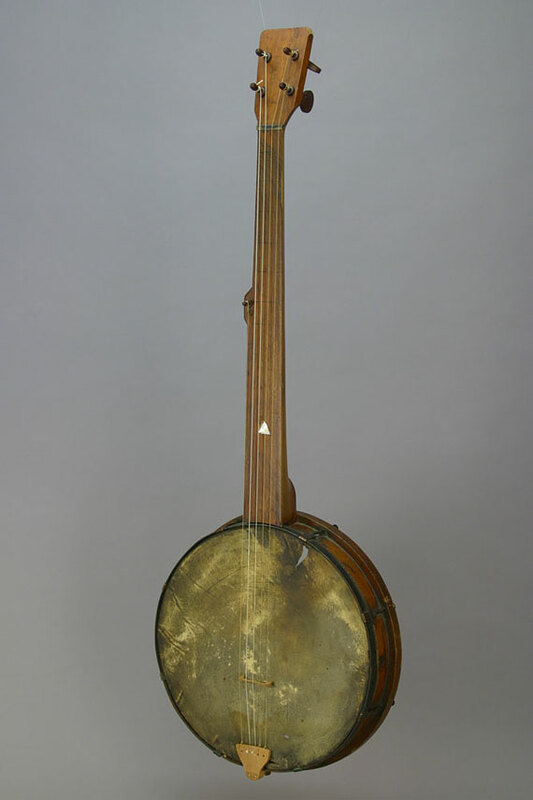 English-born guitarmaker, James Ashborn, established his mechanized instrument factory, in Connecticut, in the late 1840s. He produced thousands of high quality private-labeled guitars, to the better NYC music houses - such as: Wm. Hall & Son, Firth, Pond & Co. and Wm. 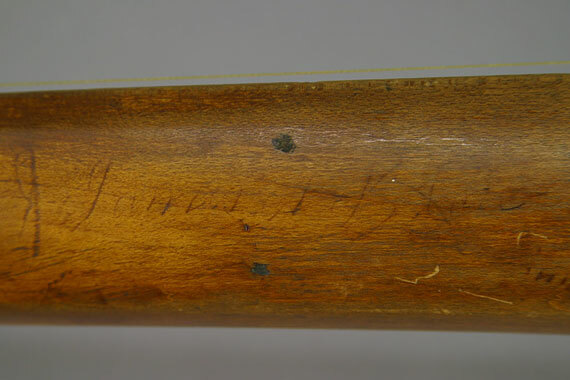 A. Pond & Co. - until his operation closed, in 1864. 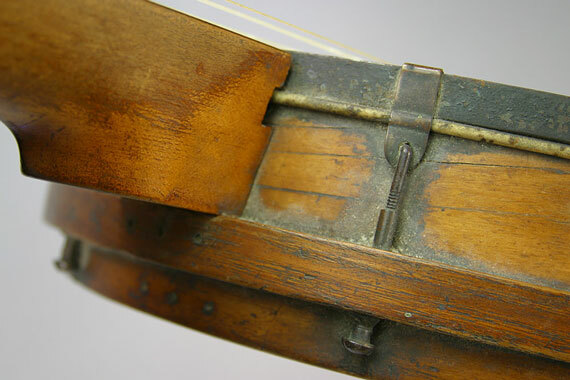 1840s, and they use a similar spliced joint for the peghead. 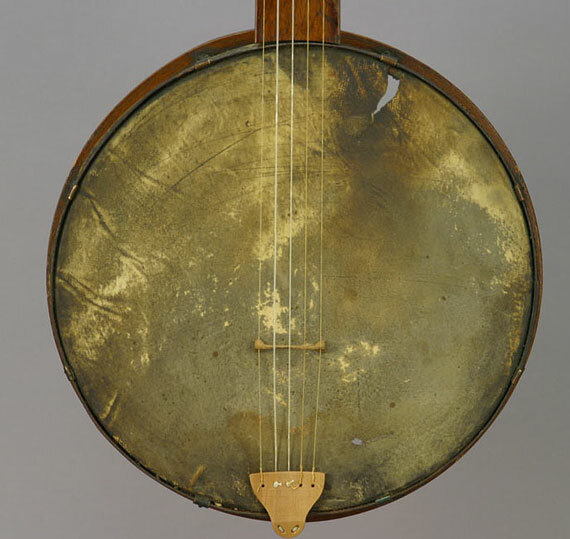 The Ashborn was the first banjo to carry a patented feature. 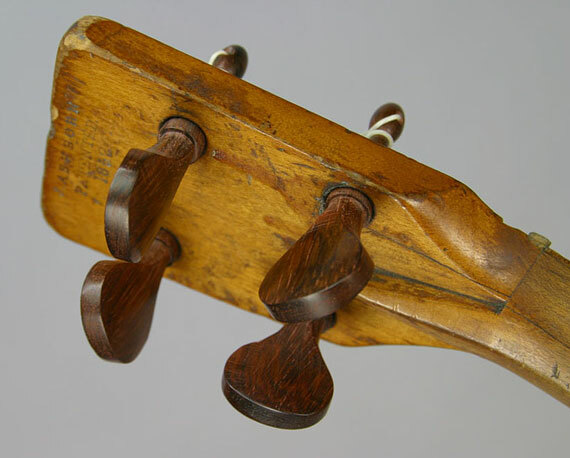 Its 1852-patented tuning peg has a large-diameter bearing surface, to provide better friction - and a small-diameter string post, to provide more accurate tuning. 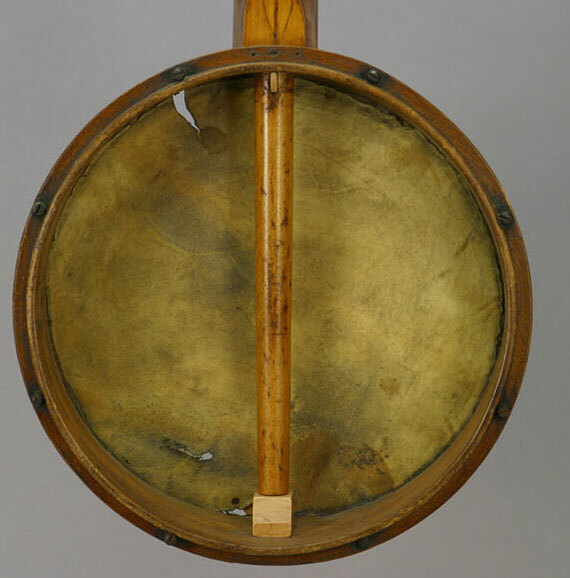 as a snare drum, at some point. (With the neck removed, we assume.) 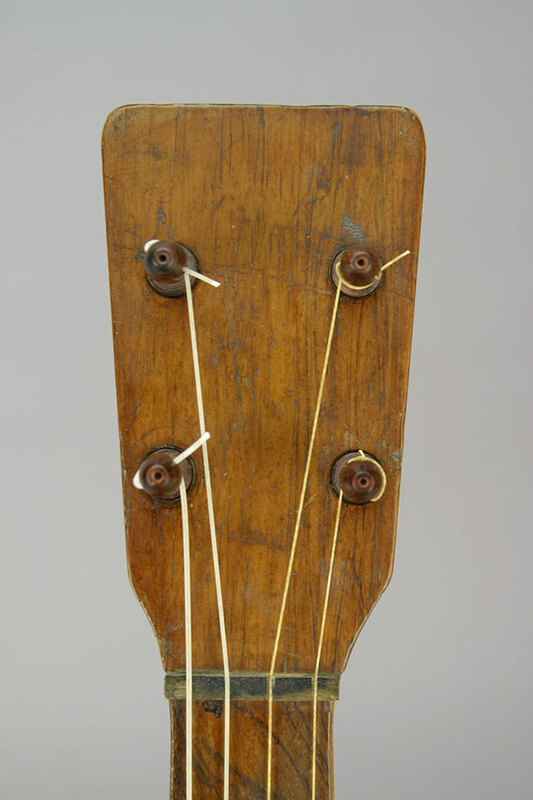 The trapezoidal-shaped 5th-string bump, with a back-to-front peg hole, identifies this Ashborn as an earlier example - probably from the mid-1850s. 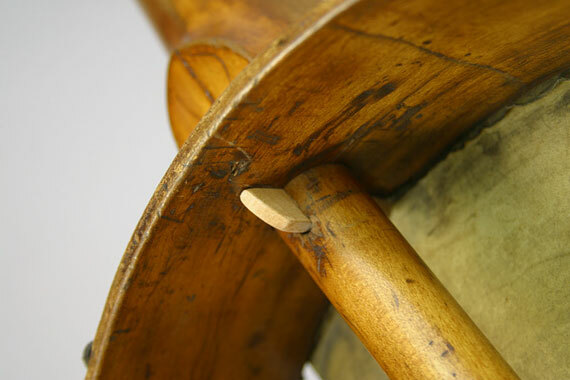 Later models have a more rounded shape to the bump, and usually have more brackets. 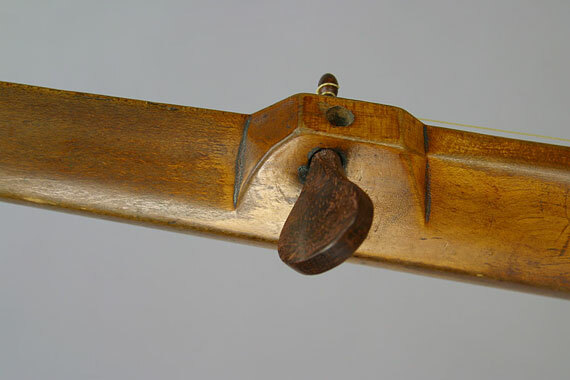 The bump was also "updated" at some point, by drilling it for a later-style side mount peg. 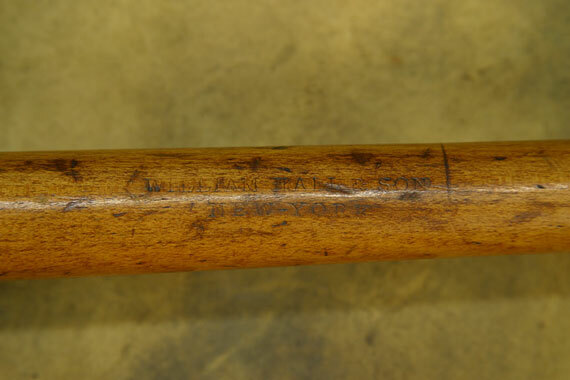 It has "J. Ashborn Patented 1852" stamped on the back of the peghead, and was made for the firm of "William Hall & Son" - which is stamped onto the dowel. 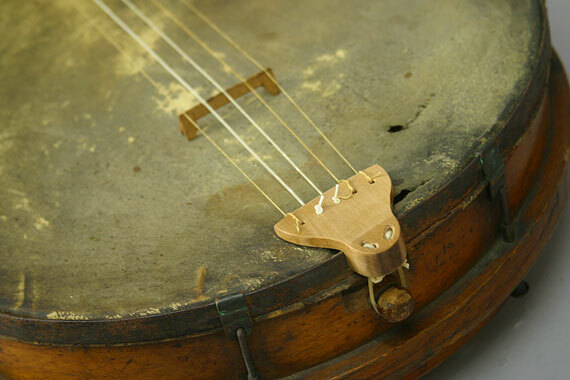 The neck and rim are basically original - except for the modified bracket nuts. 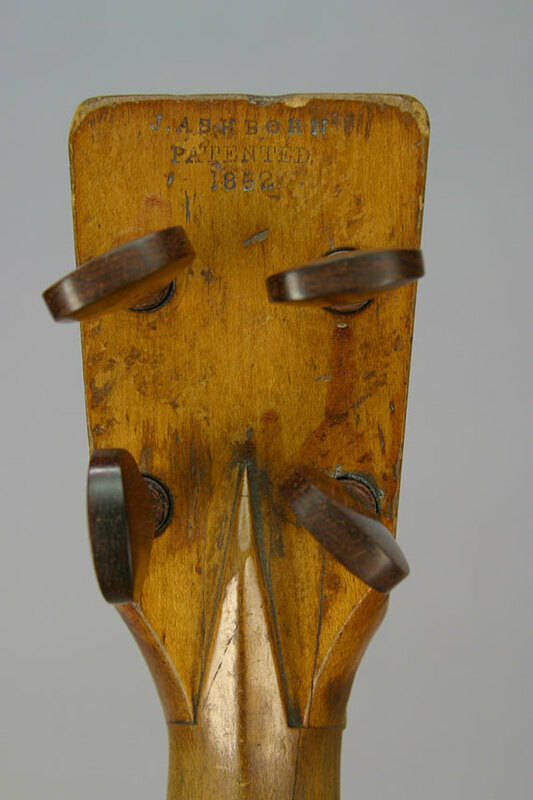 The patented pegs, bridge, tailpiece, dowel tailblock, and dowel wedge, are reproductions. 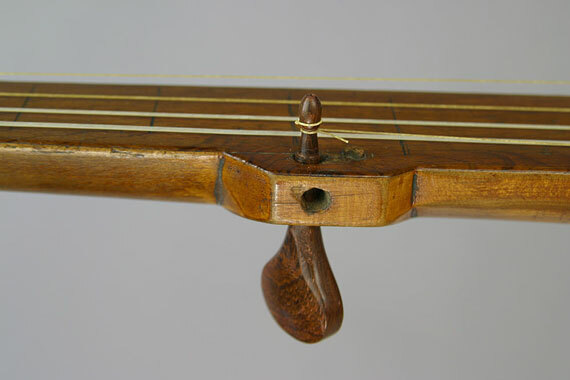 The small ivory triangle on the fingerboard is a later addition, as are various inscribed markings, and the modifications mentioned above. 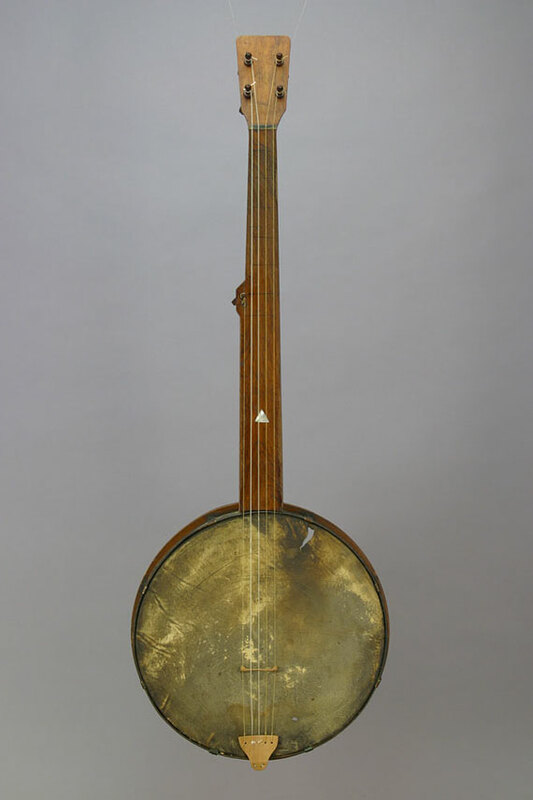 For more on James Ashborn, see: "America's Instrument" by Gura and Bollman; and Phil Gura's monograph, "Manufacturing Guitars for the American Parlor: James Ashborn's Wolcottville, Connecticut, Factory 1851-1856".